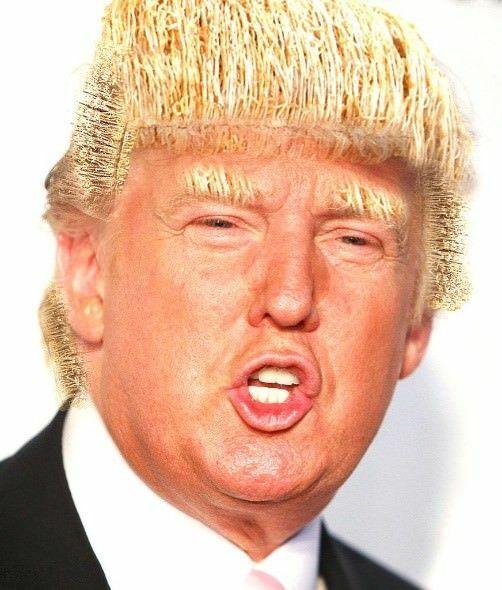 10 Coolest Alternative Uses for Donald Trump’s Hair - I Think #5 is Best! Come in, make yourself welcome – but wipe your feet first, on our luxurious doormat made from the strongest, sturdiest yellow matting on the market. 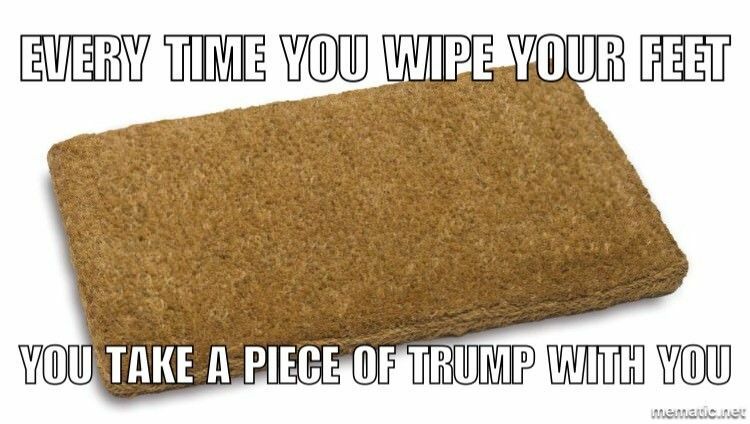 Guaranteed to absorb even the most stubborn dirt and repellent stains, including Sarah Palin. Start your day the wrong way with a bowl of Trump Wheat, the breakfast cereal fortified with vitamins and no irony. This delicious, nutritious thatch is best enjoyed with a splash of ice cold milk to really get your bile flowing. Keeps you regular at spouting racist opinions. 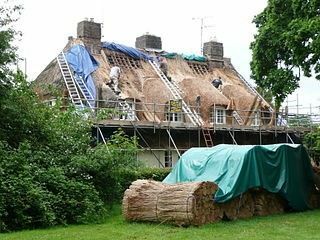 Everyone in Britain apparently lives in a chocolate box cottage with a perfectly thatched roof. Sometimes they spring leaks, which can be costly to repair. What better way to keep dry than with the finest sunshine coloured straw available today? Grown on the usually inhospitable landscape that is Donald Trump’s head it’s a perfectly renewable resource, cheap and readily available. Like his talk show appearances. If we had a photograph of Donald Trump, something to remind us. We wouldn’t spend our life just wishing. 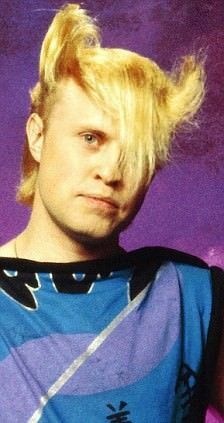 We’d actively campaign to see his hair set free and turned into a Flock of Seagulls tribute act. An opportunistic feeder that greedily consumes its prey, and frequently engages in unsuitable mating rituals with golden beauties. But never mind Trump’s past misdemeanours, here are some Bald Eagle facts instead. Just kidding. The bald eagle actually has the capacity to make the biggest nest of any bird. In fact, the largest nest ever recorded was 6 meters deep. Another ideal use for Trumps seemingly endless amounts of scalp matting. Especially if it leads to more encounters like the one above. 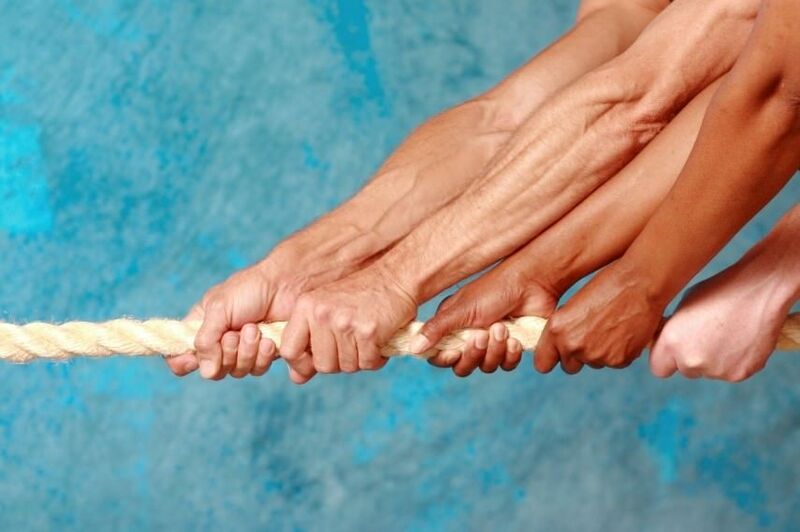 Never mind the television debates and endless speeches at podiums – plaited and twined, Mr Trump’s hair would make a sturdy and effective tug of war rope for all the Presidential candidates to battle it out with at the forthcoming election hustings. The winner gets to keep it in a jar by the door in the White House. Rodent shedding? Don’t know what to do? Who you gonna call? Trumpbusters. 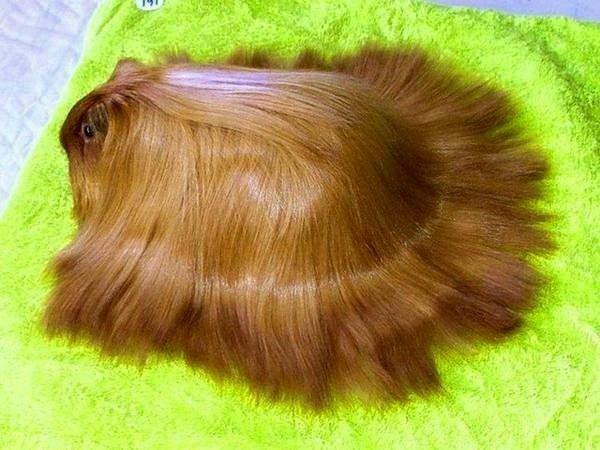 Suppliers of strong, sturdy guinea pig wigs for all your tiny pet needs. Now your little hairy friend can hit the town knowing they look stylish and groomed at all times. In the interests of better relations between the two countries let’s build a sturdy rope bridge between the US and Russia using his lustrous locks. Who wouldn’t like to see a huge manly handshake between President Putin and a Republican candidate Trump across a thick yellow barricade made of his distinctive locks? Everyone knows there are only two things visible from space. 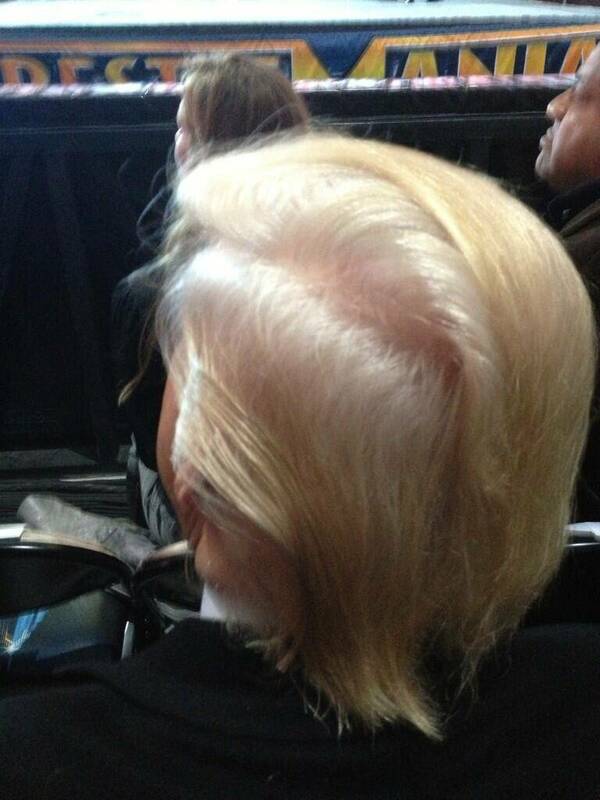 The Great Wall of China and Donald Trump’s hair. Why not use it as a tactical landing base for US military aircraft, fresh back from dropping bombs on the places other countries cannot reach? A soft landing is guaranteed. You’ve seen Big Brother, you’ve seen Survivor and Keeping up with the Kardashians. 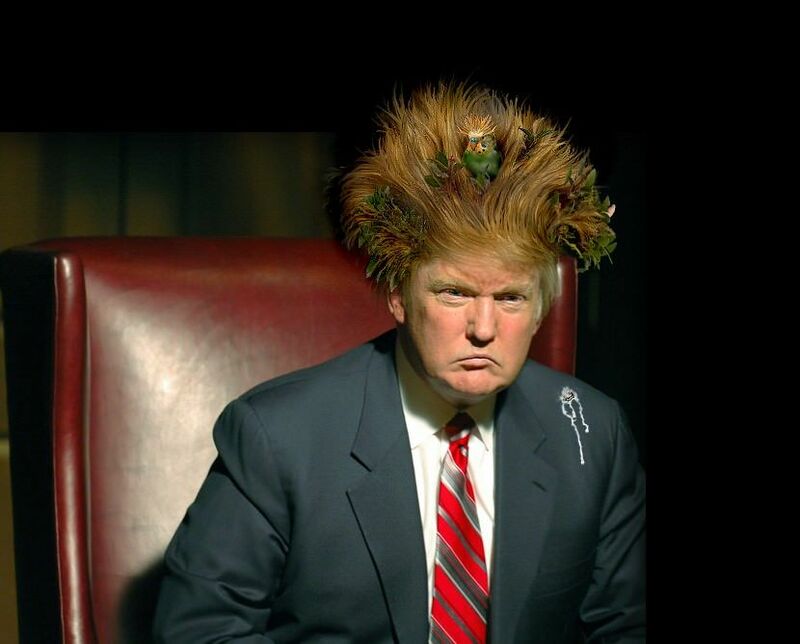 The next big reality TV series is set to be Trump’s Lock Wars, a deadly serious game show in which ten contenders are airlifted onto his scalp and left to fend for themselves in the unhospitable clime they find there. Each week there’ll be nomination and eviction by nit comb. Who’ll stay to the bitter split end? People spend hours trying to see if these rumours are true, but sadly not all of them area. Here are 7 of the crazies video game rumours people actually believed. Declutter your mind with these lyricless masterpieces!